I’m a junior at Fox Chapel Area High School. My sport is Crew. During the summer before freshman year, I attended a two-week rowing camp offered in Millvale. I immediately fell in love with the sport and knew this would be my passion. Since attending that camp I went on to row for Fox Chapel during freshman year where I had great times and participated in many events with my teammates. In the fall of sophomore year I changed to the Steel City Rowing Club in Verona. I became dedicated to pursuit of a college scholarship enabling me to work toward a coaching position in this sport, maybe one day, a chance at a seat in an Olympic boat. 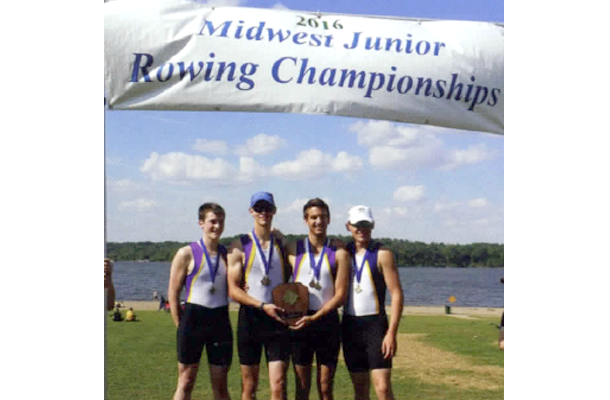 My first full season with Steel City Rowing Club, we traveled and participated in many regattas, both out of state and locally, gaining a great deal of experience.